Throughout 2013, we at EverEdge have noticed an increase in interest for deeper versions of our current range of ProEdge edgings. For a number of years now we have produced ProEdge in 2.5 M lengths, 2.5 mm thick and in depths of 75, 100 and 125 mm. Landscape contractors and architects who are looking for a deeper edge can now use our DP1, a 150 mm deep ProEdge. To accommodate the extra depth, we have had to make one modification from our regular joint detail. Unlike the original range, the DP1 requires a coach bolt to connect the pieces which are supplied by EverEdge whenever lengths are purchased. 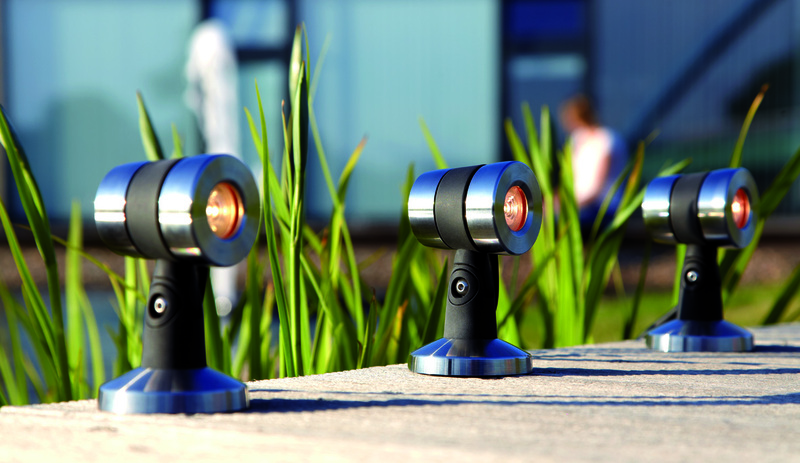 As well as the new DP1 product, 2013 has seen the full launch of two other products from EverEdge. The EverEdge Garden Ring, whilst it was available in 2012 made a real impact in 2013 as word got out about the simplicity of this great product. 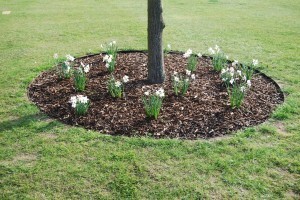 The EverEdge Garden Ring is a preformed circle for edging around trees and shrubs which, once installed, gives an smart and practical solution to the problem of maintenance around young trees and shrubs. The EverEdge Planter also became a hit in 2013. 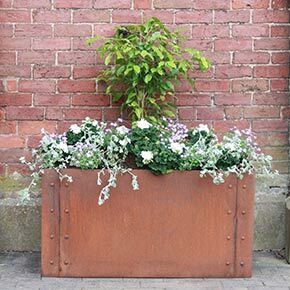 Made to order, the EverEdge planter can be constructed to almost any design and from natural weathering steel, Cor-Ten, galvanised steel or powder-coated painted steel. Throughout 2013 there was solid demand for these planters, in many different designs, both in the UK and Europe. The largest project completed by EverEdge was for a roof garden in Norway where the client needed a Cor-Ten planter constructed to fit a very specific design. EverEdge came up with a planter for the architect, shipped in a flat-pack system and it’s simple construction meant EverEdge was able to give the client exactly what they were looking for and on time. As 2014 approaches, EverEdge will be offering their recognised range of edgings to suit the project. 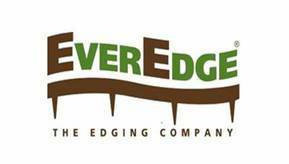 EverEdge Classic 1 metre sections are still the most popular for edging lawns, paths and flowerbeds in most domestic gardens. The longer and thicker ProEdge, including the new DP1, is still the popular answer for those larger areas on driveways and paths. For anything bigger, our Titan range offers edging in depths up to 300mm and in thicknesses up to 10mm. If nothing from the standard range suits your requirements, then EverEdge Custom is also available. At EverEdge we never like to turn away a project so we will work with you to make a design become a practical reality. EverEdge will always listen to what the market is calling for. There are already two new products in the research and development stages that will be announced during Spring/Summer 2014 so keep checking the EverEdge website for news and updates. We wish you a busy and successful 2014.